Kevin Dallas Martin Jr. is an American former professional basketball player who has played 12 seasons at the NBA (National Basketball Association). He played college basketball for Western Carolina University, where in his junior year he ranked second in the nation with an average of 24.9 points per game. After three years at his university, he entered the 2004 NBA draft and was selected with the 26th overall pick by the Sacramento Kings. Later, on April 28, 2016 Kevin had announced his retirement from the NBA. 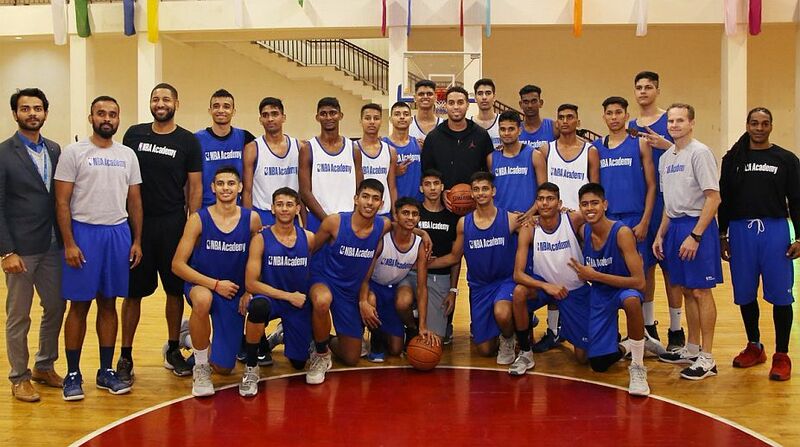 Recently SNS interviewed the NBA Star on his first visit to India and asked him a few questions about his career and life during and after his retirement. He shared quite a lot of experiences, secrets, and tips for others to follow for a career in basketball. When asked about what NBA meant to him, Kevin replied with one word… grateful. “I am grateful for the opportunity that NBA has given me to explore a career that I at that time thought was never possible. I am also grateful to the Sacramento Kings for selecting me on my first NBA draft,” he said, remembering the teachings of the NBA which changed his life. He said he was glad that he got to play in the NBA and be a part of such a great brotherhood. Kevin shared how it was the love of the game that brought him into basketball and pursue it as a career. He talked about how he and his friends from a very early age played on the playgrounds all the time and how it was always more of a get-together and getting good at the game while always loving the game. Apart from all the teams that Kevin has played, including Sacramento Kings, Houston Rockets, Oklahoma City Thunder, Minnesota Timberwolves and the San Antonio Spurs, Kevin’s termed Oklahoma City Thunder as favorite team on the court. “It’s because playing with the two superstars like Kevin Durant and Russell Westbrook had such a big global impact. It was probably my favorite time because it felt like we won every game,” said the NBA star. The NBA star also informed that he liked College American Football with Tom Brady from The Patriots being his favorite team and player. “I love the team as the entire sport is highly competitive because losing in this sport just one time could take you out of the season. The Patriots could actually win the Super Bowl this year,” said Kevin. Kevin could be seen enjoying his retirement, though basketball is still being a big part of his life. “Life has changed for me as after the NBA where players spend about 200 days on the road and offseason away from family, I am making up for lost time of about 20 years with my family. This is one of the best and positive sides of being retired from the game,” he said.